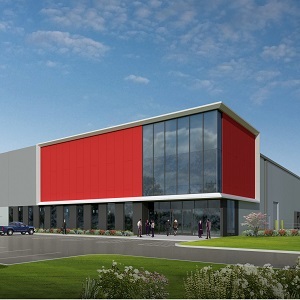 John Hancock Real Estate and CRG are so confident in the Atlanta area that they’ll break ground on a 1.01-million-square-foot industrial building on June 5 without a single lease commitment. “We view the market as one of the strongest industrial nodes in the U.S. because of its proximity to essential transportation infrastructure, and we’ll continue to evaluate opportunities in the market,” said Richard Strom, John Hancock Real Estate’s southeast U.S. managing director. John Hancock Real Estate, known as Manulife Real Estate outside of the U.S., serves as the U.S. real estate arm of the Toronto-headquartered Manulife Financial Corporation (MFC-T). It had a portfolio of more than 62 million square feet with a value of $21.6 billion on March 31. Locust Grove Distribution Center 1 will join the company’s six other industrial properties, totalling about 1.3 million square feet, in the Atlanta area. John Hancock has an industrial portfolio of 10 properties encompassing more than three million square feet in the state of Georgia. The distribution centre, located in the Atlanta suburb of Locust Grove, is less than a mile from an Interstate 75 interchange, providing excellent access to local and regional distribution, convenient amenities and a qualified labour force. Once complete and ready for occupancy early next year, the facility will feature cross-dock capabilities, 36-foot clear heights, 236 trailer spaces, 148 dock height doors, LED lighting, 386 parking spaces and concrete paving. The centre, located on a 79-acre site, represents the first part of a multi-phase business park designed for more than 4.5 million square feet of industrial buildings over 311 acres of John Hancock-owned land. St. Louis-based CRG — which has developed more than 5,000 acres of land and delivered more than 160 million square feet of commercial, industrial, multi-family and institutional assets exceeding US$9 billion in value — is the developer for the project. Its Clayco parent company — a full-service, turnkey real estate development, master planning, architecture, engineering and construction firm — is the design-builder. Clayco subsidiary Forum Studio is the architect. “The project will bring together John Hancock’s financing and development capabilities with CRG’s industrial design and development expertise,” said Strom. John Hancock’s other major development projects at the moment are: The View at Waterfront apartment building in Washington, D.C.; the 17-storey, 295-unit Residences at Boston Landing apartment building in Brighton, Mass. ; and a 32-storey, 330-unit apartment building at 95 Hawthorne St. in San Francisco. The company owned more than 26 million square feet of office, industrial and residential real estate in the U.S. as of March 31. John Hancock’s biggest acquisitions last year were: the 185,000-square-foot 535-545 Boylston Street office complex in Boston; a 104,375-square-foot office building at 17911 Von Karman Ave. in Irvine, Calif.; and Oak Park Place Apartments in Chicago. Its major 2016 disposition was the 753,000-square-foot Market Center office complex in San Francisco. “John Hancock is actively reviewing acquisition opportunities in core markets across the U.S.,” said Strom.